Disabled drivers abuse Blue Badges | What Car? 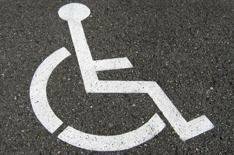 Disabled drivers are abusing the Blue Badge parking scheme, with one in 10 holders admitting they would happily lend the badge to a friend or relative, according to a new survey. The Department for Transport study also revealed that many motorists weren't bothered by the scheme being abused, with 40% of respondents saying Blue Badge misuse is more acceptable than double parking or stopping on a pavement. The survey was commissioned to highlight the widespread abuse of Blue Badges. The findings follow the launch earlier this year of a 55 million Government scheme to cut down on the misuse of Blue Badges. As well as preventing Blue Badge holders illegally lending their cards to other motorists, the Government is cracking down on the use of forged and stolen badges.